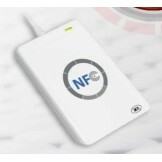 Effective Immediately prices of our Mifare and NFC Readers have been increased as a result of new import tariffs imposed by the Trump administration on products made in China. We understand that many countries have shipped products to the US and other countries at below the manufacturing cost or have huge subsidies provided by their central governments. The tariffs affect so many products not produced in the US, so the net result will higher consumer prices. 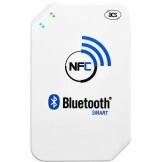 ACR1255U-J1 NFC Bluetooth® NFC Reader is designed to facilitate on-the-go smart card and NFC applica.. 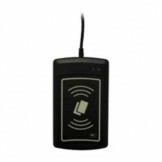 The ACR1281U-C2 Contactless UID Reader is the perfect answer to read the UID from ISO 14443 Part 4 T..
ACS MIFARE® & NFC Reader/Writer USB The ACR122T is a PC-linked contactless smart card reader/wri..
ACS MIFARE® & NFC Reader/Writer USB The ACR122U is a PC-linked contactless smart card reader/wri..